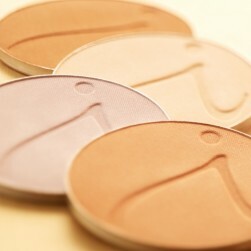 Four shades to correct and conceal discoloration. Apply Corrective Colors with our Camouflage Brush, using a criss-cross or stippling motion. To finish, press and roll PurePressed Base or Amazing Base over the camouflaged area with the Flocked Sponge. 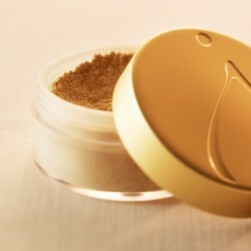 If the distraction still shows through, try layering the concealer and mineral powder again. Don’t be afraid to continue the layering process a number of times until the area is concealed sufficiently. Finish with a spritz of your favorite Hydration Spray. Choose the correct color for your distraction: yellow cancels redness; peach cancels blue, purple,and gray tones; and lilac cancels yellow. Beige acts as a general, neutral concealer. use it alone, or layer it on top. To avoid drawing more attention to the area you are trying to conceal, remember the secret to camouflage is “better, not perfect.” Check your reflection from a social distance of 3-5 feet. If it looks good from there, you’re good to go! Four colors to tackle any distraction. Yellow cancels redness; peach cancels blue purple and gray tones; and lilac cancels yellow. Beige acts as a general, neutral concealer and can be layered on top. Full coverage yet weightless finish. Packaged with a mini concealer brush.